Perspectives on drugs: trends in heroin use in Europe — what do treatment demand data tell us? Home > Perspectives on drugs: trends in heroin use in Europe — what do treatment demand data tell us? Trends in heroin use in Europe — what do treatment demand data tell us? Understanding heroin use trends in Europe is crucial on account of the considerable public health impact of this drug. Treatment demand data are analysed in here to assess changes over time in the number of first-time treatment entrants reporting heroin as their main problem drug. 1. Analysis: trends in heroin use in Europe — what do treatment demand data tell us? The current number of problem opioid users in Europe can be estimated at about 1.4 million, or 0.41 % of the adult population, with heroin being by far the most widely used opioid. Heroin use has developed along different timelines; several western European countries faced increases from the 1970s onward, whereas countries in Central and Eastern Europe saw a development in heroin use in the 1990s and later. Recent analyses of multiple indicators suggest that Europe may be witnessing a longer-term decline in heroin use, although countries show varying patterns and trends. Understanding heroin use trends is a priority because of its public health impact; it is also a major challenge owing to several factors, including the relatively limited size of the population of users and their often poor health status and socioeconomic situation. In this analysis, treatment demand data are explored to provide an insight into problem heroin use trends, while recognising that issues such as treatment coverage and relationships between incidence of drug use and treatment entry are very complex (Hickman et al., 2001) and need to be carefully considered. The EMCDDA’s treatment demand indicator (TDI) (EMCDDA, 2012a) collects information on the number and characteristics of people entering specialised drug treatment in Europe (1) and provides important insights into trends in problem drug use. Data are available for all clients entering treatment during a given year, as well as for the subgroup of those entering treatment for the very first time. In this analysis, TDI data were explored in order to assess changes over time in the number of people who have entered treatment for the first time in their life with heroin as the primary drug (2). A trend analysis was performed for two time periods according to data availability: a 6-year period (2005–11) with data from 24 European countries and an 11-year period (2001–11) focusing on 15 European countries. The analysis used the ‘joinpoint regression method’ (National Cancer Institute, 2011), which describes the direction and the magnitude of trends fitting various linear segments over the studied period. The method estimates the points in time when linear trend changes occur (‘joinpoints’), without prior theoretical hypothesis. For the analysis, Europe was divided into two broad groups of countries (Western Europe and Eastern Europe) (3) in order to allow some examination of differences within the region (Barrio G. et al., 2013). What are the trends in first treatment demand for heroin use? Over the last decade, treatment demand data indicate an overall decrease in the number of people who have entered treatment for the first time for heroin-related problems. Data from 15 countries (4) show a decrease from 33 000 to 28 000 heroin clients entering drug treatment for the first time over the period 2001–11. However, changing trends were reported over the period, with three different phases identified: (1) a decrease from 33 000 new heroin clients in 2001 to 27 000 in 2003, which represents a significant annual percentage change (APC) of -10 % (5); (2) an increase from 27 000 to 34 000 new heroin clients between 2003 and 2007 (APC +5 %); and (3) a decrease from 34 000 to 28 000 new heroin clients between 2007 and 2011 (APC –5 %). Based on a larger sample of countries, the period 2005–11 also shows an overall decrease in the number of heroin clients entering drug treatment for the first time but in two different phases. In the 24 European countries with available data (6), the number of first-time heroin clients increased from around 52 000 in 2005 to 61 000 in 2007 and then decreased to 42 000 in 2011. The pattern was observed in both geographical areas (Western and Eastern Europe), although the decrease started later in the east. Although no significant change is identified over the whole period, the period 2007–11 is characterised by a statistically significant decreasing APC of just under -12% (7). Overall trends mask differences between countries, and changes within countries over time. The following examples illustrate national variability regarding the extent and period of changes in the number of new heroin treatment demands. Bulgaria and the Czech Republic are both characterised by a decrease for the overall period 2001–11 (APC of just over –6 % in both cases). In Spain, an initial significant decrease from 7 500 in 2001 to 4 000 new heroin clients in 2003 (APC –31 %) was followed by a period of stability, no significant annual percentage change up or down, though the most recent data indicates an increase in numbers from 3 400 in 2009 to 4 500 in 2010. In the United Kingdom the figures show a decrease reported between 2001 and 2003 (from 16 000 to 15 000 new heroin clients) followed by an increase until 2006 (20 000 new heroin clients) (8), though the only significant trend identified was a significant annual decrease (APC –6 %) between 2006 and 2011 (from 20 000 to 15 000 clients). Is Europe’s heroin epidemic declining? Available data show a decrease in first treatment demand for heroin use in Europe between 2001 and 2011. Three shorter time periods have been identified with changes in trends. The findings have been confirmed by a 6-year trend assessment using a larger sample of countries. A number of factors do warrant further investigation, in particular the rebound of first heroin treatment demands between 2003 and 2007 (Barrio et al., 2013). Uncertainties also derive from possible modification in contextual and methodological factors (i.e. treatment capacity, propensity to enter treatment, time lag to treatment, data-reporting coverage), which might have influenced the decrease in the number of new heroin clients over time (De la Fuente L., 2006; EMCDDA, 2012b; EMCDDA, 2012c). Available information suggests however that the decrease in first treatment demand for heroin use – and indirectly in the incidence of problem heroin use – cannot be attributed to those elements for the following reasons: in the last decade, drug treatment in general and heroin treatment in particular have increased overall in Europe (EMCDDA, 2011); there are also no indications of changes in the propensity of heroin users entering treatment, and available information suggests that the time lag between first use and first treatment entry has not increased (Nordt C., 2009); and, finally, TDI data coverage (number of clients and of treatment centres covered) has also remained stable or has increased in most countries (EMCDDA, 2012b). In this context, the main finding of this analysis confirms a decrease in first-time heroin treatment entrants for heroin use, which should reflect decreases in heroin initiation that occurred some years earlier (9). This decrease in incidence might have been due to several causes, which range from lack of interest among young people in a drug that is associated with very serious harms, to reductions in the availability of this drug in some markets. A decrease in the incidence of heroin use some years ago appears to be confirmed indirectly by other indicators, such as drug-induced deaths and heroin-related drug-law offences. Furthermore, information on heroin supply seems to indicate a decline in heroin availability (see box), even if caution should be applied in interpreting those data and the relationship between changes in heroin market and in heroin use (EMCDDA, 2012b; EMCDDA, 2012c). The analysis suggests fluctuations in first treatment demand for heroin use in Europe in the last decade, with significant declines since 2007. The raw numbers indicate this decrease occurred earlier in western European countries than in countries in eastern Europe, and supports other analyses which highlight differing time trends in heroin epidemics in these regions. The most recent data, however, seem to suggest a tendency towards convergence across Europe as a whole. Bearing in mind the time lag between initiation of heroin use and heroin treatment demand (Nordt C., 2010), a decline in incidence of heroin use is likely to have occurred some years earlier. The decline in heroin use has important public health implications as it contributes to reductions in a range of serious health problems, including infections related to drug injection and overdose deaths. However, heroin trends need to be monitored actively and continuously, as past experience has shown that drug problems often come in epidemic waves, with new generations being exposed to risk, especially when they have limited knowledge and experience of the serious problems that use of heroin can cause (Barrio G. et al., 2013). Another issue to be taken into consideration is the use of other opioids, which has been reported by European countries and is now a major problem in other regions of the world, including North America. (1) This data set does not include all heroin users entering opioid substitution treatment as in some countries this type of treatment can be provided by office-based medical doctors or other providers that are not covered by the TDI. (2) The primary drug is defined as ‘the drug that causes the client the most problems at the start of treatment. This is usually based on the request made by the clients and (or) on the diagnosis made by a therapist, commonly using international standard instruments (e.g. ICD-10; DSM-IV (5), ASI) or clinical assessment.’ (EMCDDA, 2012a). (3) For the division between Western European countries (WECs) and Eastern European countries (EECs), a simple geographical breakdown, considering historical and social factors in the development of the heroin epidemic, has been done (Barrio G., 2013). WECs are Belgium, Denmark, Germany, Ireland, Greece, Spain, France, Italy, Luxembourg, Malta, the Netherlands, Austria, Portugal, Finland, Sweden, the United Kingdom and Norway. EECs are Bulgaria, the Czech Republic, Estonia, Cyprus, Latvia, Lithuania, Hungary, Poland, Romania, Slovenia, Slovakia, Croatia and Turkey. Six countries (Belgium, Estonia, Luxembourg, Hungary, Poland and Norway ) did not allow for trend analysis. (4) Bulgaria, the Czech Republic, Denmark, Germany, Ireland, Greece, Spain, Cyprus, Latvia, the Netherlands, Romania, Slovenia, Finland, Sweden and the United Kingdom. (6) All EU Member States, with the exception of Belgium, Estonia, Luxembourg, Hungary and Poland, plus Croatia and Turkey. (8) An important change in reporting method was introduced in UK in 2006 (from paper to electronic reporting). (9) According to some studies, most clients first requested treatment around 2–4 years after starting heroin use ((Nordt C.Wiessing , 2010)). However, there will also be a few cases with very long time lags of 15, 20 or more years. Given this skewed distribution, the average (mean) time lag will be longer than the time lag of most clients and cannot be used to simply subtract the same number of years from the observed trend in treatment demand to obtain the incidence curve of heroin use in the community. Modelling exercises have also shown that, around the peak of an epidemic of heroin use, one will observe a high number of clients with a very short time lag to treatment, whereas, when an epidemic is declining, fewer cases will be observed but with a longer average time lag between first use and first treatment (e.g. Hickman et al., 2001). Barrio G., Montanari L., Bravo M.J., Bruno G. and Fuente L dL., P. J. V. J. 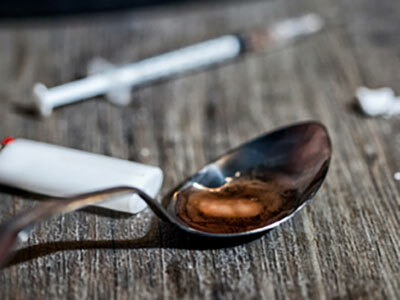 (2013), 'Trends of heroin use and heroin injection epidemics in Europe: findings from the EMCDDA treatment demand indicator (TDI)', Journal of Substance Abuse Treatment. EMCDDA (2012a), Treatment demand indicator (TDI) STandard Protocol 3.0 (available at: http://www.emcdda.europa.eu ). Barrio G., M. L. B. M. J. G. G. F. L. F. P. J. V. J. (2013), 'Trends of heroin use and heroin injection epidemics in Europe: findings from the EMCDDA treatment demand indicator (TDI)', Journal of Substance Abuse Treatment. EMCDDA (2012b), '2012 EMCDDA Statistical Bulletin', (available at: www.emccda.europa.eu ). EMCDDA (2012c), 2012 Annual report on the state of the drugs problem in Europe, Luxembourg (available at: www.emcdda.europa.eu ). EMCDDA (2011), 2011 Annual report on the state of the drugs problem in Europe, Luxembourg (available at: www.emcdda.europa.eu ). National Cancer Institute (2011), 'Joint Point Regression Programme 3.5.2', (available at: http://surveillance.cancer.gov/joinpoint/ ). Nordt C., L. K. S. R. (2009), 'Estimating incidence trends in regular heroin use in 26 regions of Switzerland using methadone treatment data', Substance Abuse Treatment, Prevention, and Policy 4(14). Nordt C., W. L. (2010), Calculate the incidence of heroin use in Europe. The vast majority of the heroin available on European markets comes from south-west Asia, reflecting the fact that it is estimated that at least 80 % of the global opium output originates from Afghanistan, with heroin manufacture occurring either there or in neighbouring countries, such as Iran and Pakistan. 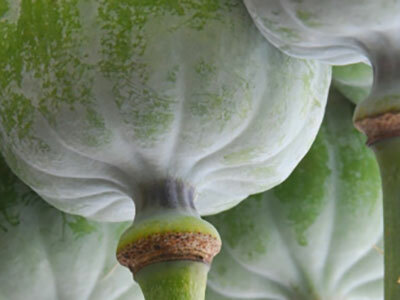 With the exception of 2010, when a poppy blight affected the Afghan crop, annual opium global production has remained at historically high levels since 2006. Estimated heroin production (467 tonnes in 2011) has decreased significantly since 2006, however, reflecting the fact that it is now thought that a substantial part of the Afghan opium crop is not being processed into heroin (UNODC, 2012). It should be also noted that estimation in this area is challenging and current approaches are under review. Heroin has predominantly been transported from south-west Asia to Europe by two distinct routes. Historically, the less important of these has been the ‘northern’ or ‘silk’ route, which goes via the central Asian republics and then into Russia, Belarus and Ukraine. The ‘Balkan route’ is generally considered more important and runs principally through Turkey and the Balkan countries branching from there to southern, central and northern Europe. Quantities of heroin seized in Europe (13.4 tonnes in 2011) are decreasing. This is a relatively long-term trend, which can be observed for a decade or more in the EU. The situation in Turkey is somewhat different. This country now seizes more heroin than all EU Member States, although seizures have significantly declined since a peak year in 2009. This reversal in Turkey may reflect changes in both trafficking flows and law enforcement activity. Law enforcement cooperation, both with countries in the region and with destination countries, appears to have made an impact, possibly resulting in a diversification of trafficking routes and modi operandi. More attention may now be given to the northern route, and new land, sea and air transport routes and methods appear to be being utilised. This includes using both airfreight and sea containers from countries such as Pakistan. Transit points on the Arabian peninsula and in east and west Africa also appear to be growing in importance. There are reports that some traffickers are moving to other illicit cargoes, such as contraband cigarettes, cannabis or cocaine, in preference to heroin. Whether this is driven by supply reduction activities, reduced market demand or a combination of both remains unclear. Nordt C.Wiessing (2010), Problem heroin use incidence estimation second phase: comparison of two methods in 11 countries/regions. Final report. Contract code CT.08.EPI.079.1.0.